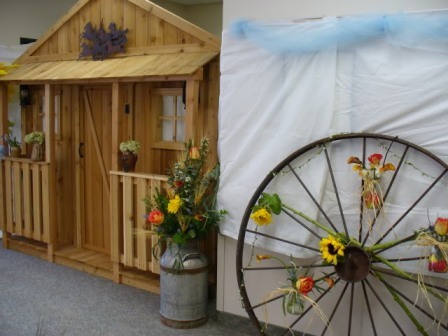 What is a country themed wedding? 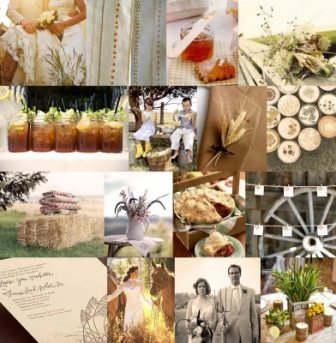 People may have different views and may present lots of country wedding ideas. Generally speaking, when we talk of country wedding ideas, we are presented by different country escapes. Country weddings are not limited to barns and cowboys rescuing the lady in distress. It can be about the wildlife, gardens, farms, or any place that is relaxing and enjoyable. Planning a country wedding is not really difficult if you are creative enough and you already know from the start what your wedding would be like. The problem with have lots of country wedding ideas is to have lots of things that does not complement with the wedding themes. 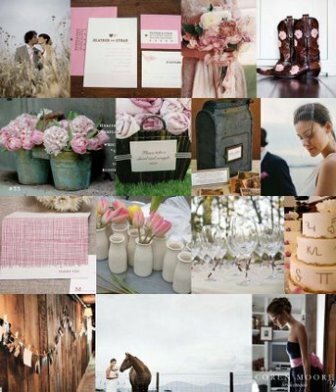 Pick country wedding ideas that are suitable for you. The safest décor for country weddings are woods and greens as it will give you and your guests a relaxing feeling. Setting the mood in country wedding is very important, so make sure that all decors complements with each other. The elegance of country weddings is through its simplicity. It may be quite challenging but it was fun looking for grandeur on simple things. Your venue might be an outdoor garden or country farm or anything that reflects the country life. Avoid too much decors as it will destroy the ambiance of the place. Looking for more country wedding ideas? Flowers and wedding centerpieces are important as it is one of the most noticeable during weddings. You can have country flowers like tulips and daisies. These comes flowers comes in different colors and your florist can easily do some experimental designs that will enhance the ambiance of the country side. One idea for Unique country wedding ideas is giving out extraordinary wedding favors or souvenirs There are two ways you can do this - buy them or make them yourself. If you choose to buy nice country wedding favors, there are many available today. You can always give items like seed packages, vases, or salt and pepper shakers - items that give that down home feel. When coming up with country wedding ideas, you can give the down home feel by making your own favors. You can ask your mate to help you or ask the bridesmaids and groomsmen to help you. If you really cannot find time or just simply not interested in arts, Make a photo booth, hire country costumes and dresses that are easy to wear and hire a photographer for picture taking. For sure, your guests would love going back to the photo booth and it gives you an assurance that the souvenirs you gave will be cherished as well as being strongly attached to the memory of your wedding. Everyone is spending fortunes for their weddings. Some just spend a portion while others spend their whole savings for the ceremony. I know lots of couples who share expenses for their wedding ceremony and it is also important that you will not end up broke after the ceremony. If you think there is no way to make your wedding simple, go for the country wedding. There are a lot of country wedding ideas that can help you save for the future. After all, simple is elegant.